Leather shoes with laces by Prima (1850/40) in black color. 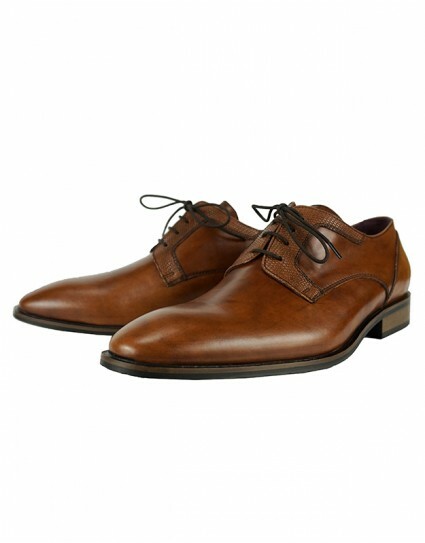 Leather shoes with laces by Prima (1850/40) in brown color. Leather shoes with laces by Prima (1854/40) in black color. 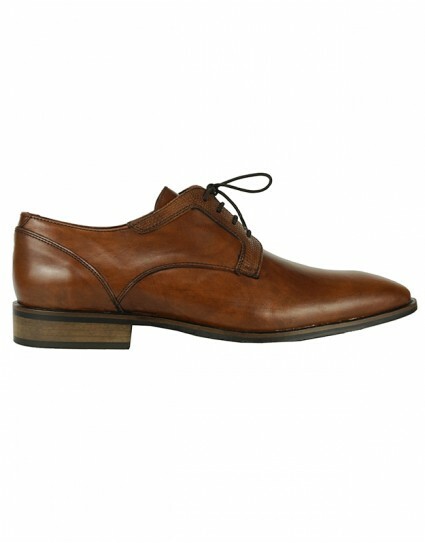 Leather shoes with laces by Prima (1854/40) in brown color. Leather shoes with laces by Prima (1857/40) in black color. Leather shoes with laces by Prima (1857/40) in brown color. 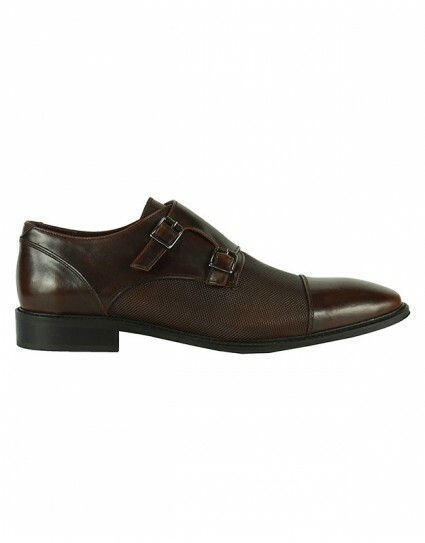 Leather monk shoes by Prima (1856/40) in brown color. 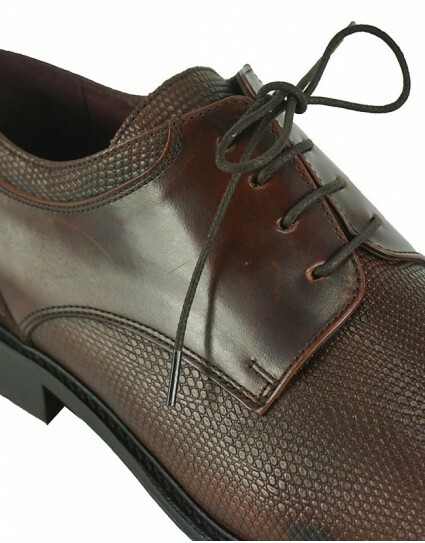 Formal leather shoes with laces by Prima (221/132) in brown color with heel. 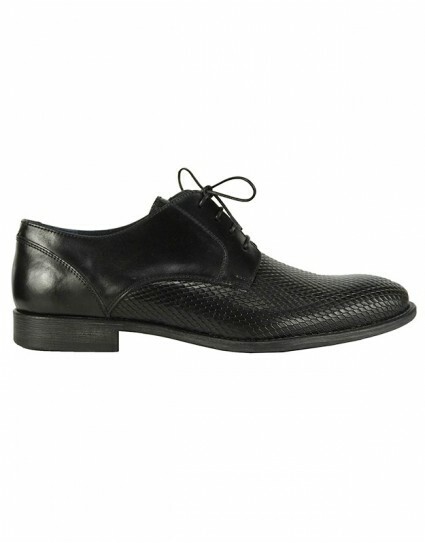 Formal leather shoes with laces by Prima (1845/40) in black color with dazzed pattern on the leather and heel. Formal monk leather shoes with laces by Prima (1846/40) in brown color with dazzed pattern on the leather and heel. Formal leather shoes with laces by Prima (1844/40) in brown color with dazzed pattern on the leather and heel. 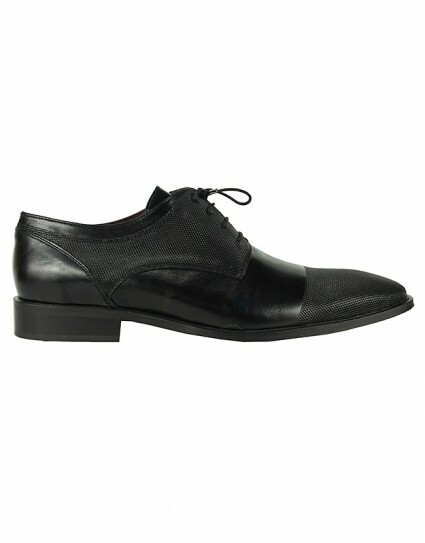 Leather shoes by Prima(2502/134) in black color with laces. Half of it is smooth and the other half repousse. It has thick sole with light strippes and a line of different color above the sole. 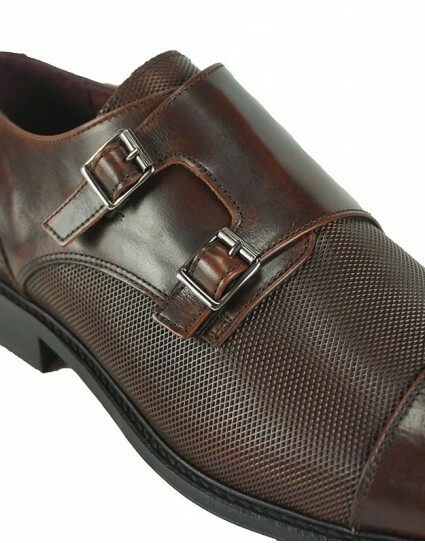 It is comfortable and we recommend them for formal dressing. Formal leather shoes with laces by Prima (424/132) in black color with heel and dazed pattern on the leather on half its surface. 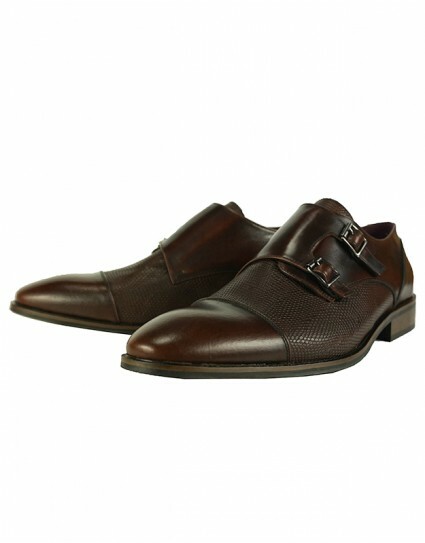 Monk formal shoes without laces by Prima (2805/314) in brown color made of genuine leather with dazed straw-like pattern. It is handmade and is produced in Greece. 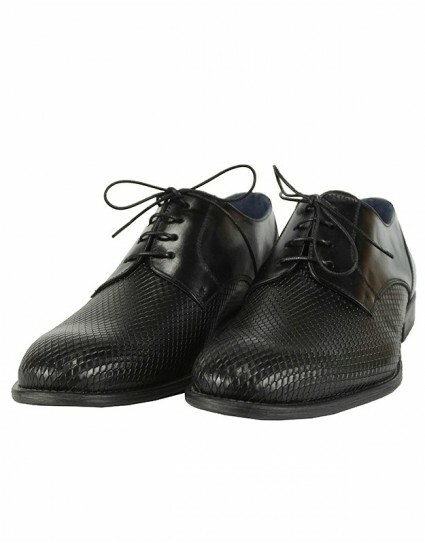 Leather shoes with laces by Prima (1834/40) in black color with special dazed pattern on the leather. It has wooden heel(2 cm) and leather inside lining.